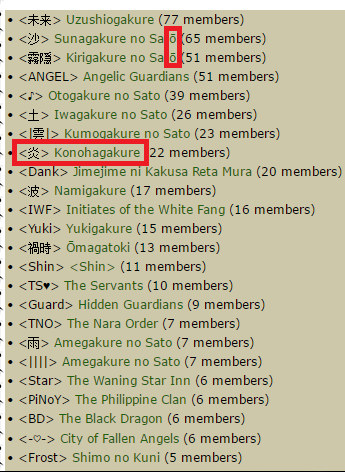 If Neji does not object, I would allow for members to send us a petition for one of us to change it (without abusing it of course). Or, Neji can create an addition, which might take some work. Would have to put an x or something next to a particular clan name to indicate it's been changed once already. The petition would probably be the easiest to handle, but I'm sure Neji will want to put a cost of DP or in-game gems/gold on it. If he chooses to implement it at all.